A federal judge in Washington, D.C. says prosecutors for special counsel Robert Mueller have proved that Paul Manafort lied on three occasions and agrees the prosecutors are no longer bound by a deal to recommend a lighter sentence for Manafort. In a written order after a sealed hearing Wednesday, Judge Amy Berman Jackson ruled that the former Trump campaign chair lied to the FBI, the Special Counsel's Office, and the Mueller grand jury regarding payments made by an unidentified "Firm A" to a law firm and that the matter was material to their investigation. She also ruled that Manafort made multiple false statements to the FBI, the Special Counsel's Office, and grand jury regarding his interactions and communications with Konstantin Kilimnik, a Ukrainian-Russian associate, and that Manafort made false statements on Oct. 5, 2018 that were material to another Justice Department investigation. The judge ruled that prosecutors had not established that Manafort lied in two other instances. She said that the Special Counsel's Office failed to show Manafort made false statements on Oct. 16, 2018 concerning Kilimnik's role in an obstruction of justice conspiracy. She also said prosecutors had not established that on the same day, "defendant intentionally made a false statement concerning his contacts with the administration." 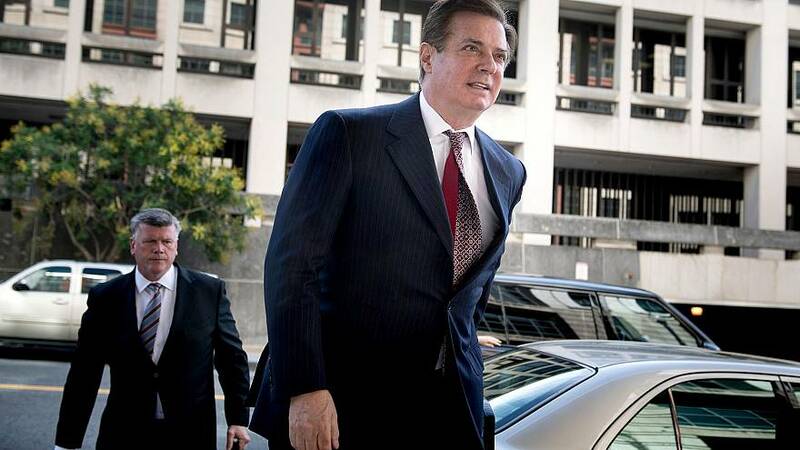 In September 2018, Manafort pleaded guilty to two federal charges in D.C., conspiracy to defraud the U.S. and witness tampering, and agreed to cooperate with investigators. Manafort's deal included a recommendation for lighter sentencing, but the deal was contingent on Manafort's truthfulness in his statements to prosecutors and the grand jury. In a separate federal case in the Eastern District of Virginia, a jury found Manafort guilty on eight of 18 charges, failing to reach a verdict on the other 10.